Meet Charli, my best friend and the person who first introduced me to paganism, Wicca and Witchcraft when we were young. She does not follow a specifically pagan or Wiccan path, describing herself as a witch and nothing more. Charli is a strong practitioner of high magick and follows the work of occultists such as Aleister Crowley. She was a late member of the Circle of Open Traditions and broke away with myself and Jessica to form the Circle of Northern Fountains this year. I'd like to show you some pictures of her personal altar, taken with her permission, as a contrasting viewpoint to my eclectic pagan altars. 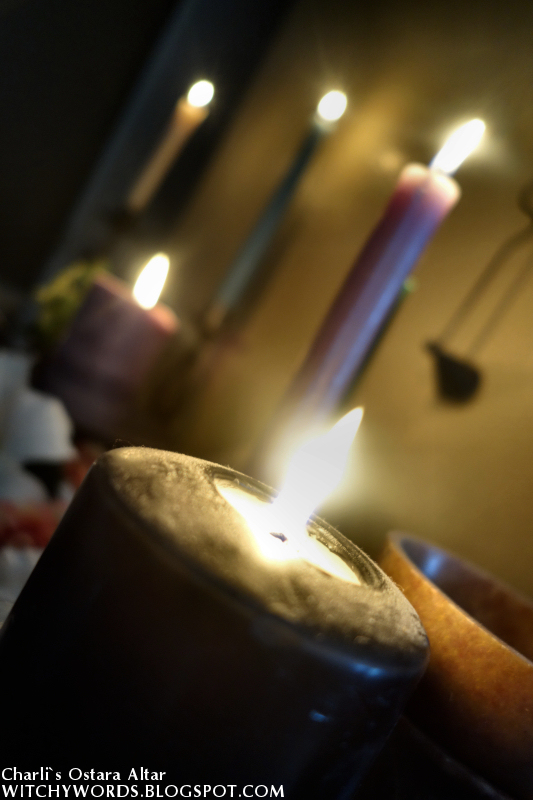 While Charli admits that Ostara isn't one of her favorite holidays, she maintains celebrating the Wheel of the Year as identifying key times for specific magick and spells. 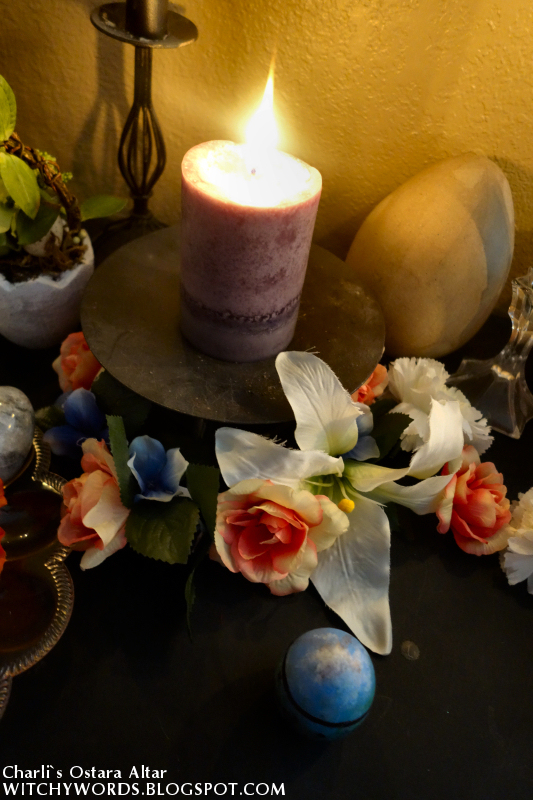 Though Charli borrowed a select few things from my pagan storage such as stone eggs, an egg tray and silk flowers, her altar creation is entirely her own. She owes her magickal proficiency to over 12 years experience in Witchcraft. Her expertise varies greatly from my own and other CNF members, making her a valued addition to the circle. 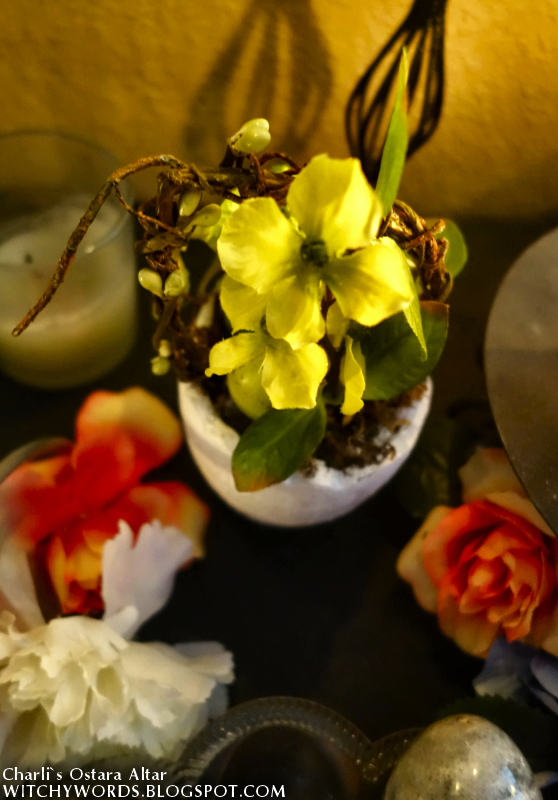 Her altar focuses on eggs and plants, representative of life and fertility. Charli has an excellent green thumb and her altar honors that gift. 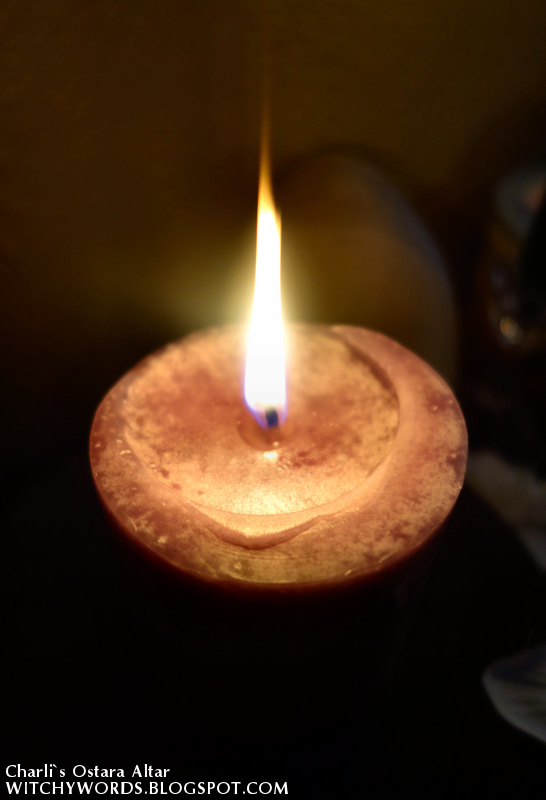 Each taper candle represents each one of the elements - air, fire, water and earth. 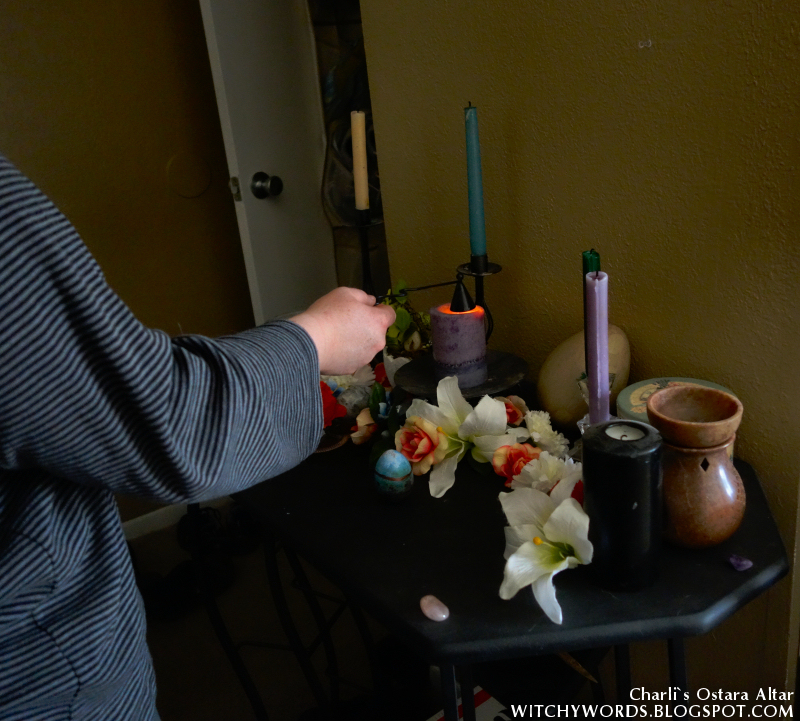 She has a white candle on one side and a black candle on the other, balancing her altar for the equinox. 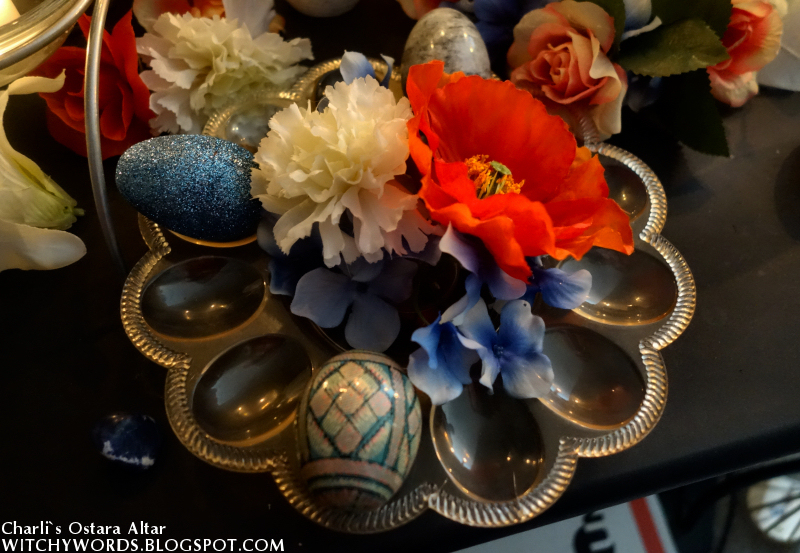 You can also find her Ostara Gemstone Fortune egg and her painted egg from the CNF Ostara ritual. During my visit today, she officially unlit her altar and began preparing it for Beltane. 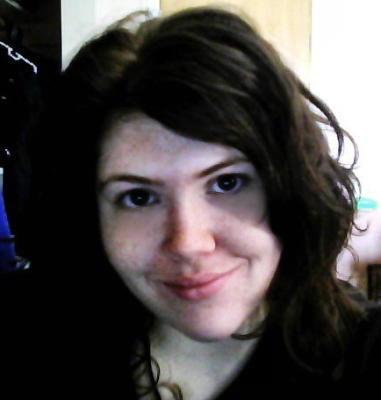 Charli will be writing the CNF Beltane ritual this year, so look forward to that around the end of April! 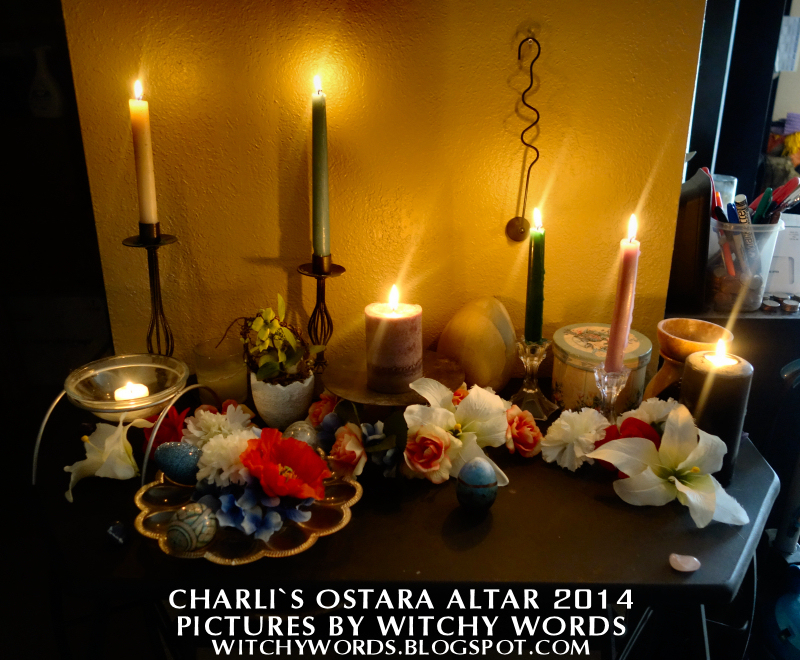 Thank you again to Charli for letting me share her beautiful Ostara altar! I hope everyone had a fantastic Spring Equinox!